This statistical bulletin is the third in the series of supplementary volumes that accompany the main annual crime bulletin ‘Crime in England and Wales 2010/11’ and presents more detailed information from the British Crime Survey (BCS) on hate crime, cyber security and the experience of crime among children aged 10 to 15. The BCS asks victims of crime whether they perceived the incident to be motivated (entirely or partially) by a hostility or prejudice to a personal characteristic or perceived personal characteristic. A number of Criminal Justice System agencies monitor five strands of hate crime, four of which were asked about in the 2009/10 and 2010/11 BCS: disability; race; religion/faith; and sexual orientation. Data from the two survey years have been combined to provide more robust estimates of hate crime. According to the 2009/10 and 2010/11 BCS, 0.5% of adults were victims of one of these four strands of hate crime in the 12 months prior to interview. 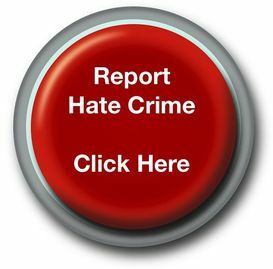 This equates to 260,000 incidents of hate crime on average per year. Of the four strands (disability, race, religion/faith and sexual orientation), race was most commonly perceived by the victim as an offender’s motivation for committing a crime (0.3% of adults were victims of a crime they perceived was motivated by race, accounting for an estimated 136,000 incidents on average per year). The police were more likely to come to know about incidents of hate crime than BCS crime overall; 49% of incidents of hate crime came to the attention of the police compared with 39% of BCS crime overall. Of those adults who said that they were victims of hate crime, 53% were satisfied with the police handling of the incident. This level of satisfaction is lower than for victims of BCS crime overall, where 69% of victims of a crime were satisfied. In 45% of incidents of hate crime, victims thought the police took the matter as seriously as they should, compared with 65% of incidents of BCS crime overall.